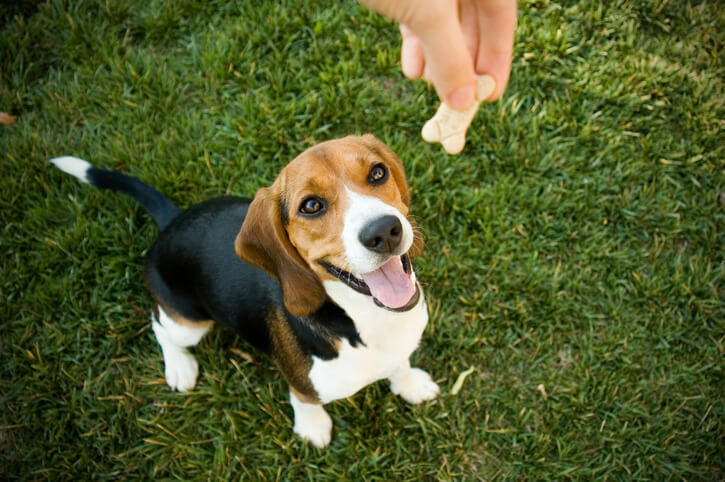 > Dogs > Which Treats Are You Feeding Your Pup? 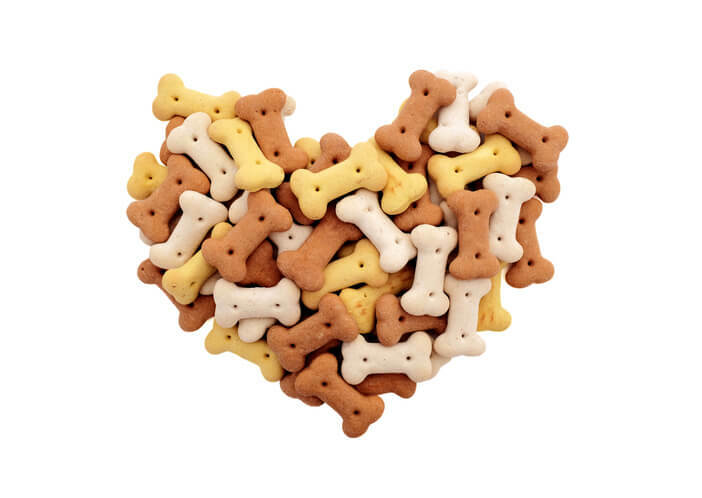 Which Treats Are You Feeding Your Pup? If that’s never happened to you, I envy you. Normally having options is a good thing, but in this case, I just get overwhelmed! So, to save you a headache (and myself) I thought it would be a good idea to research some treats that are okay to give your furry friend. Made from turkey, chicken, or beef that had been slow smoked for 15 hours, these jerky sticks for dogs are premium treats. Unfortunately, they run a little pricier compared to most other dog treats, but if you have a picky pooch they are worth investing in! USDA approved, the company prides themselves on the fact that all dogs love them. Made in the USA and available on Amazon. Not surprised these made the top of the list, are you? 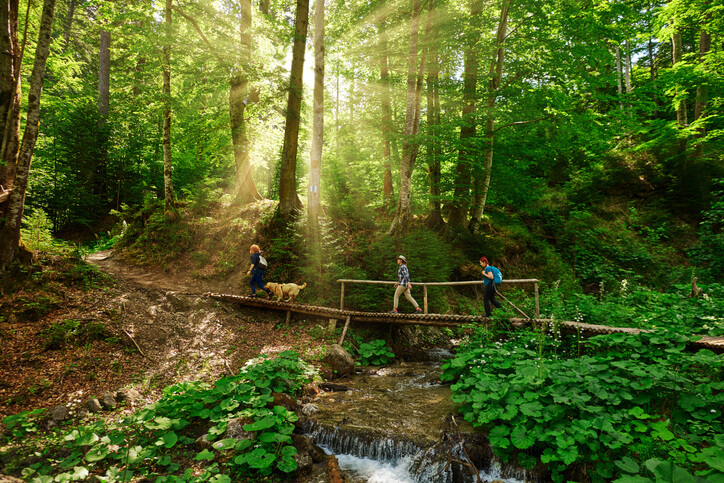 Greenies are the number one dental dog treats recommended by vets, and they’re tasty too! Now, the ingredient list definitely goes against our rule of thumb. These treats are not all natural, but thanks to the extensive testing done by the company, they are safe and easy to digest. Made to promote healthier teeth and gums, fight tartar, plaque, bad breath, and add vitamins to your pup’s daily diet. Be sure to get the right size based on your pet’s weight (you can find these on the bag itself). You can find these in any PetSmart, Petco, or most pet shops for that matter! 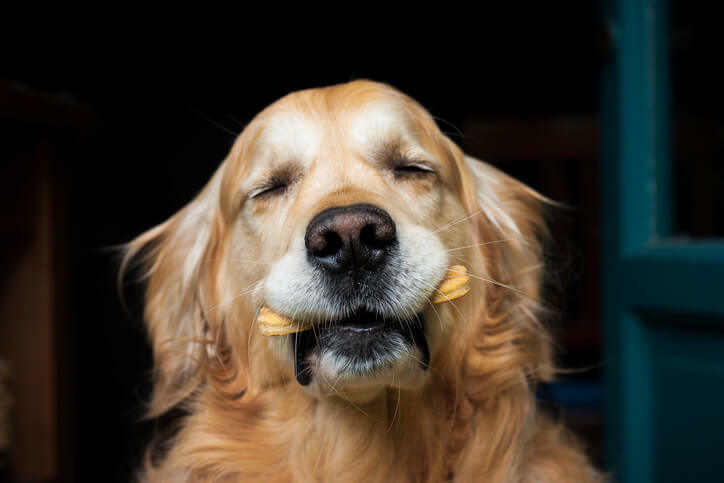 Plato Pet Treats has plenty of flavors to pick through – salmon, organic chicken, duck, turkey with sweet potato, and jerky. Meeting our general rule of thumb – each has no artificial anything, is 90% pure meat, has a single source protein and is made in California. 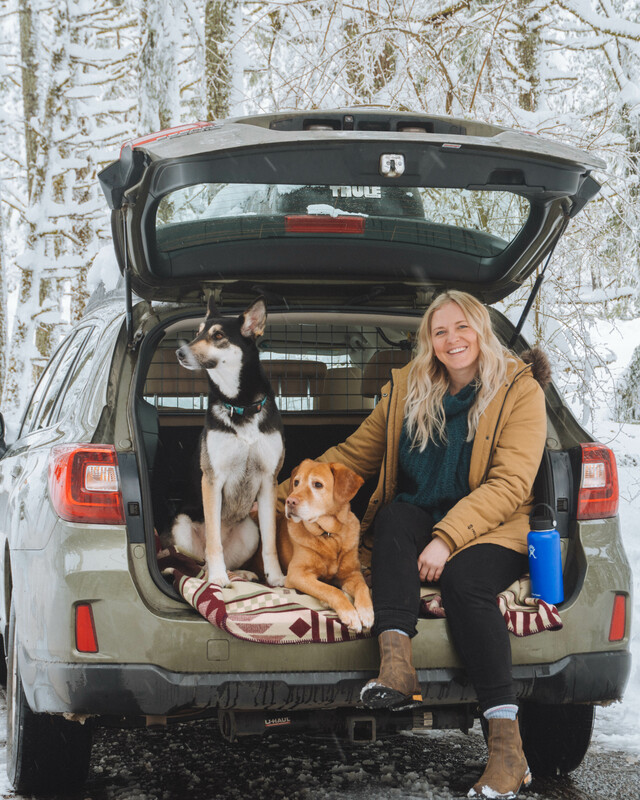 Although they lean more on the higher price range, some of their proceeds go to nonprofits to protect pets, provide service dogs, and prevent useless euthanasia. Spoil your pet for a little extra cash, and you may be saving another one while you’re at it. More than 50% protein, these chewy chicken jerky sticks have a small ingredients list, just chicken and vegetable glycerin. It doesn’t get much more natural than that! Available in three different sizes, you can find these at your local PetSmart. You have plenty of flavors to choose from – Duck, Salmon, Bison, Turkey – and the first ingredient is real meat! Available in PetSmart and Petco, this moist treat is bound to satisfy your pup, and you don’t have to feel guilty! Remember, moderation is key! 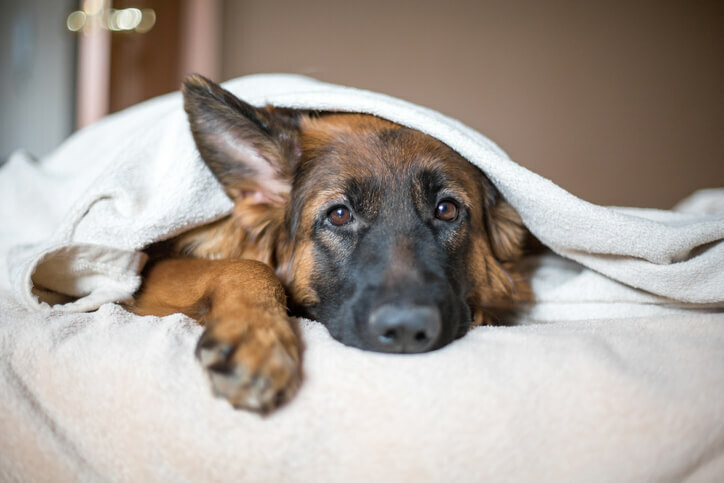 I know it’s hard to say no to those puppy eyes but sticking to one treat a day is healthy for your pup. 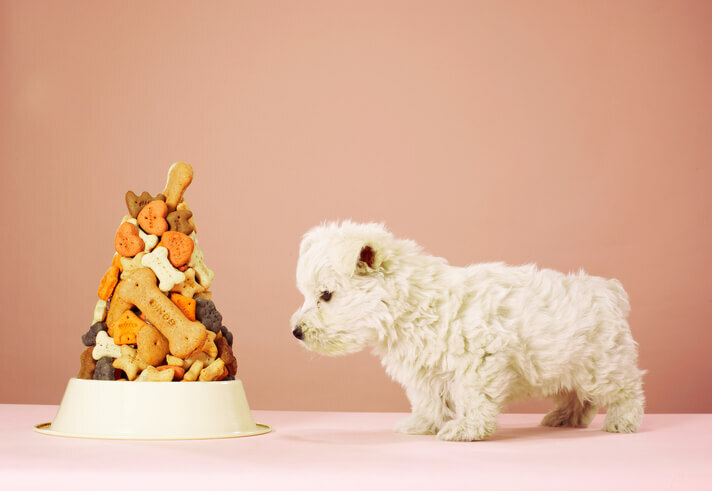 If you want to get an exact answer, speak to your vet and see how many calories your pup should be eating. Then make sure treats + meals don’t exceed that! Travall wishes you all the best in spoiling your furry friend!